Human interaction-intensive process environments need collaboration support beyond traditional BPM approaches. Process primitives are ill suited to model and execute collaborations for shared artifact editing, chatting, or voting. 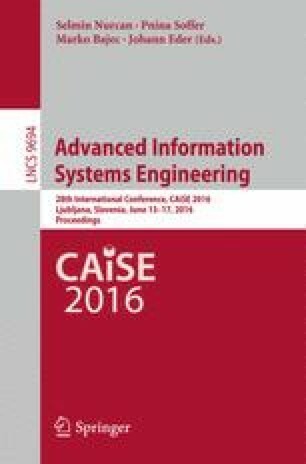 To this end, this paper introduces a framework for specifying and executing such collaboration structures. The framework explicitly supports the required human autonomy in shaping the collaboration structure. We demonstrate the application of our framework to an exemplary collaboration-intensive hiring process.